In this corner, the newcomer, SPHERE! 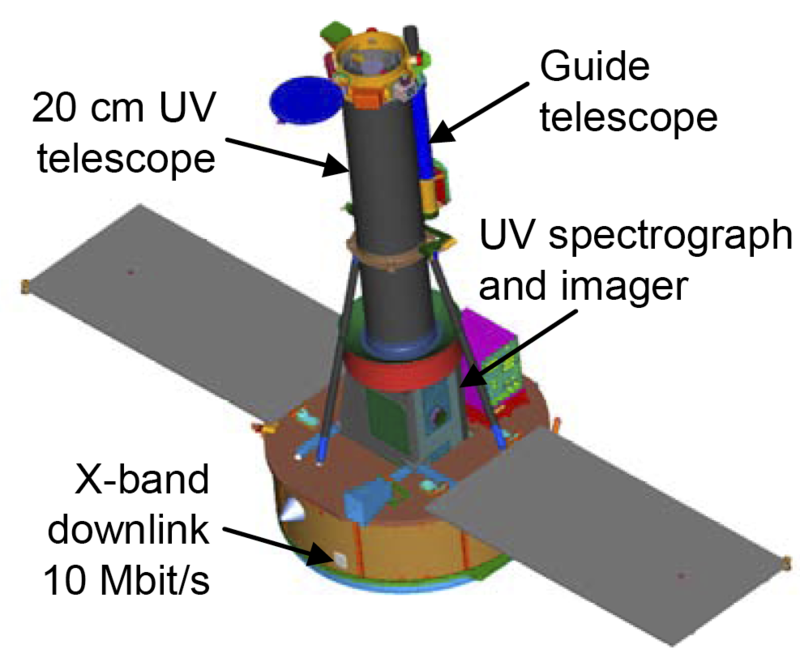 The Spectro-Polarimetric High-contrast Exoplanet REsearch telescope trained and managed exclusively by the European Space Agency. 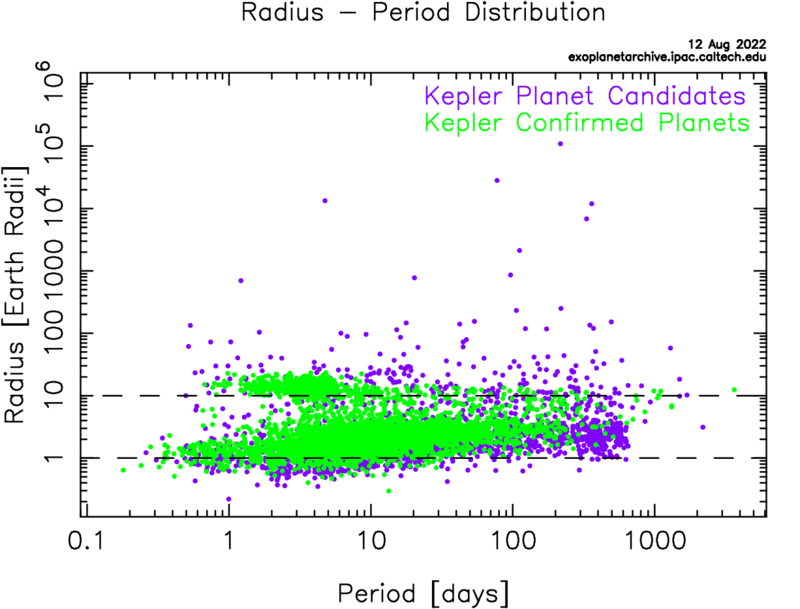 And in this corner, another newcomer, the Gemini Planet Imager! Born and trained in North America. 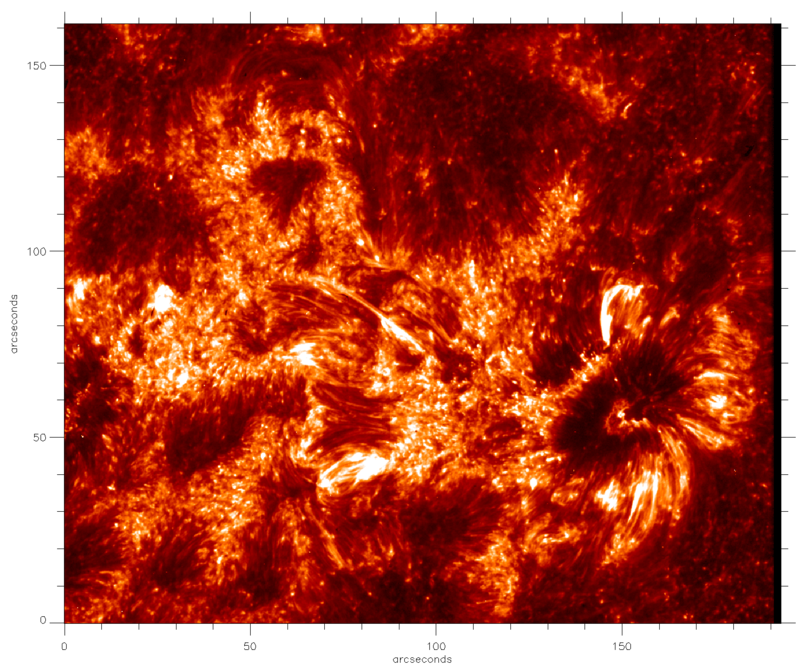 Both these bruisers are set to battle it out for the title of King of Exoplanet imaging! 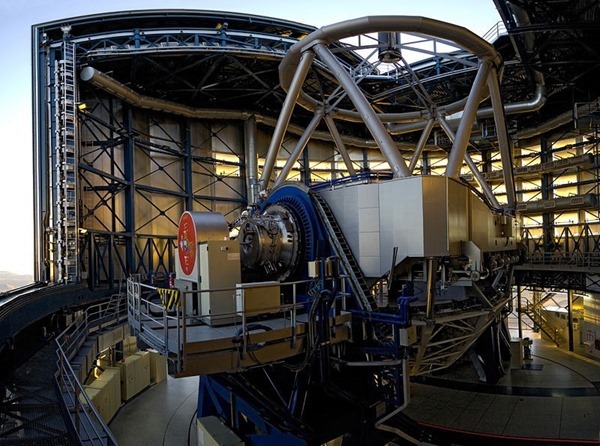 While most of their contemporaries find planets the old fashioned way, these two imager’s are going to take actual pictures of exoplanets! Fighting it out down in Chile. This battle is not to be missed! And who will win this battle? Why, we will! Good luck to both teams and may the data flow begin. Posted in Play and No Work. Tagged astronomy, astrophotography, ESA, Exoplanet, Exoplanets, Gemini Planet Imager, Spectro-Polarimetric High-contrast Exoplanet REsearch. Herschel Finds Water On Ceres. Scientists using the Herschel space telescope have made the first definitive detection of water vapor on Ceres. Ceres is the largest and roundest object in the asteroid belt and is classified as a dwarf planet, a solar system body bigger than an asteroid and smaller than a planet. Scientists think that plumes of water vapor shoot up from Ceres when parts of its surface are warmed by the Sun. In 2015 the Dawn spacecraft will be able to provide more information, hopefully confirming and expanding the data, when it arrives at Ceres next year. Posted in Play and No Work. 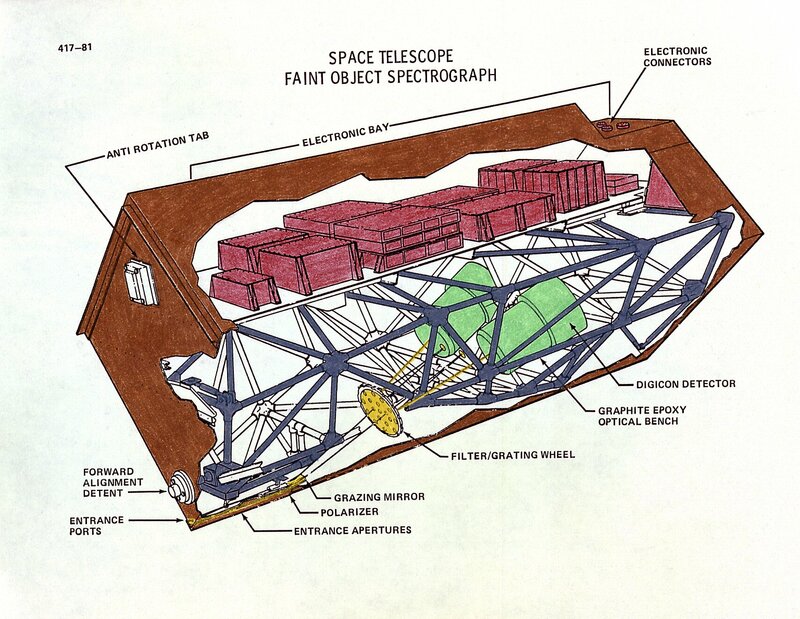 Tagged astronomy, astrophotography, Herschel Space Telescope, science, spacecraft. The ESA’s Rosetta comet probe has woken up to make its rendezvous with comet 67P/Churyumov-Gerasimenko. Rosetta’s mission will take 10 years to complete. During its trip Rosetta passed by two asteroids, Lutetia and Steins. The image above shows landslide that happened on Lutetia. 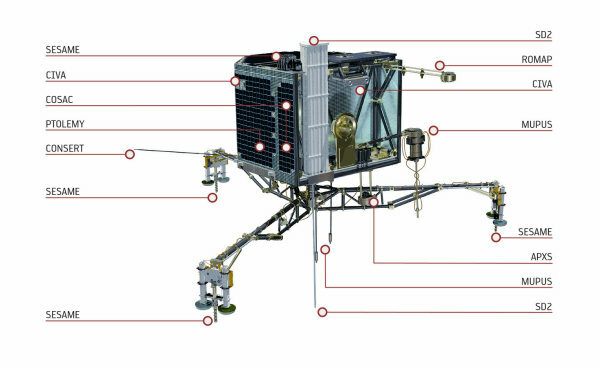 When Rosetta reaches the comet, it will deploy a 220-pound (100 kilogram) lander called Philae. Once on the comet’s surface the pair of craft will accompany the comet on its journey through the inner solar system, observing at close range how the comet changes as the Sun’s heat transforms the cold surface to a boiling gaseous mass. Rosetta is about 500 million miles (about 800 million km) from Earth near Jupiter’s orbit. 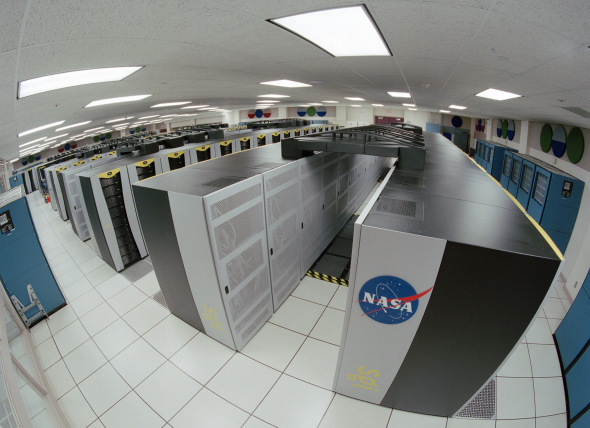 At that distance radio transmissions take 45 minutes to reach Earth and vice versa. 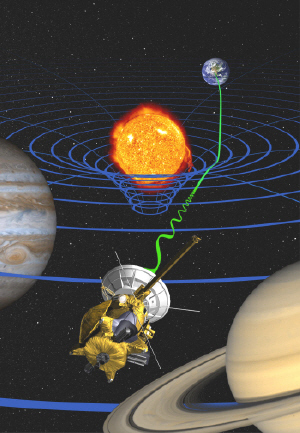 What is fascinating is that, due to gravity, the radio signals don’t travel in a straight line back and forth. Once Rosetta’s on-board alarm clock went off it took seven hours to warm up its star trackers, fire thrusters to slow its spin, turn on its transmitter and send a message back to Earth. 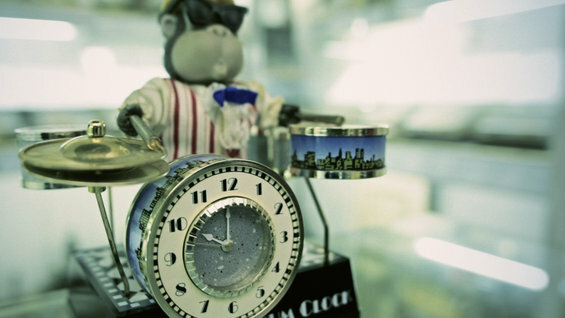 And with all the advances in science the drumming monkey clock was the best we could do (just kidding, atomic clocks were used, although the monkey clock would be fabulously hilarious). There are a lot of firsts for Rosetta, but the images from the comet as it starts out-gassing should be spectacular. I just hope Philae doesn’t land on one of the explosive vents that many comets have. 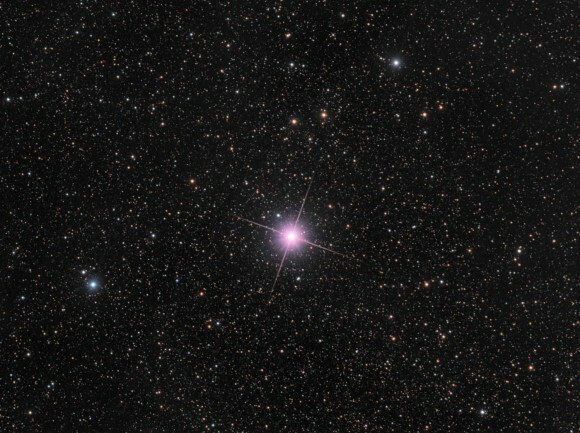 We will know later this year as the comet passes by the Sun. Posted in Play and No Work. Tagged astronomy, astrophotography, ESA, Hubble Space Telescope, JPL, Jupiter, NASA, Philae, Rosetta spacecraft. I new that there were many colors seen throughout the universe, but this is a first for me. 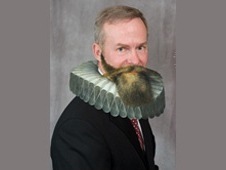 This image (Credit and copyright: Rolf Wahl Olsen.) of a pink supernova is pretty amazing. Its color is due to the ionizing gas from the explosion, and very rare. 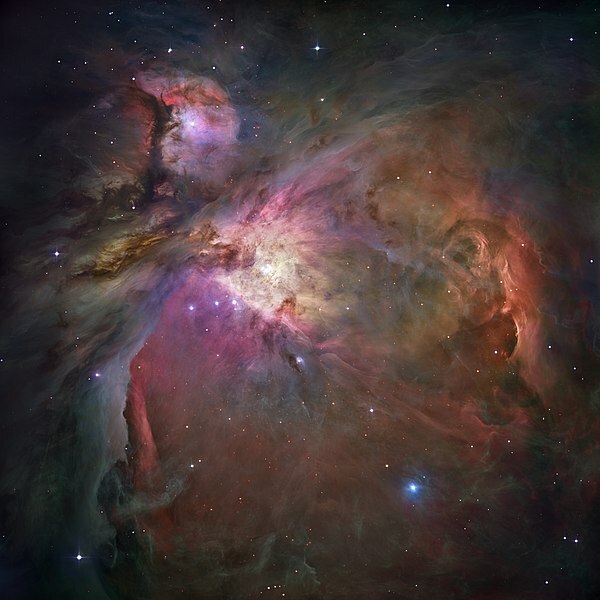 The Orion nebula shows all sorts of colors in the visible light spectrum in this image. Even green objects like Hanny’s Voorwerp exist. So why can you see them? The structure of the eye compared to the camera: taken from Wald, George (1953) ‘Eye and Camera’ in Scientific American Reader, New York, Simon and Schuster. It turns out that our eyes aren’t really that good at imaging. When visual astronomers look at objects, like the Orion nebula, it is mostly gray and sometimes, if your eyes are young enough, green. This is due to the fact that the human eye is more like a motion picture camera, processing frame after frame and moving on. Cameras, on the other hand, can collect those few and distant photons over a period of time and can capture all the colors that we miss. This is why I do astrophotography. Although it is a difficult process, the images are far more interesting to me. Posted in Play and No Work. Tagged astronomy, astrophotography. I found this amazing graphic (below) that shows where humans have ventured from the planet. Kevin Gill used his very own creation, the Orbit Viewer WebGL, and data from the NASA/JPL Horizons ephemeris. First, the program is very impressive itself (props to Kevin) and the graphics are incredible. If you would like to play with Kevin’s program you can check it out here. It is really amazing. Posted in Play and No Work. Tagged astronomy, astrophotography, Kevin Gill, science, solar system, space, Sun. Can You See Yourself Waving? This past Friday, the Cassini spacecraft captured a picture of Earth through Saturn’s rings. The image is only the third ever taken of Earth from the outer solar system (home to the gas giants and their moons). It is also the first time that everyone knew the picture was going to be taken in advance. As I reported earlier, that knowledge prompted a lot of interesting events to celebrate the occasion. From 898 million miles (1.44 billion kilometers) away, the Earth is a small blue dot. If you look closely, you can see the moon next to the Earth (naturally). So did you see me waving? Leave me a message and let me know how you celebrated this historic first. Posted in Play and No Work. Tagged astronomy, astrophotography, Cassini, Cassini spacecraft, Earth, Moon, NASA, Rings, Satrun, science, space, spacecraft.